HAPPY NEW YEAR, my BOLD ones! 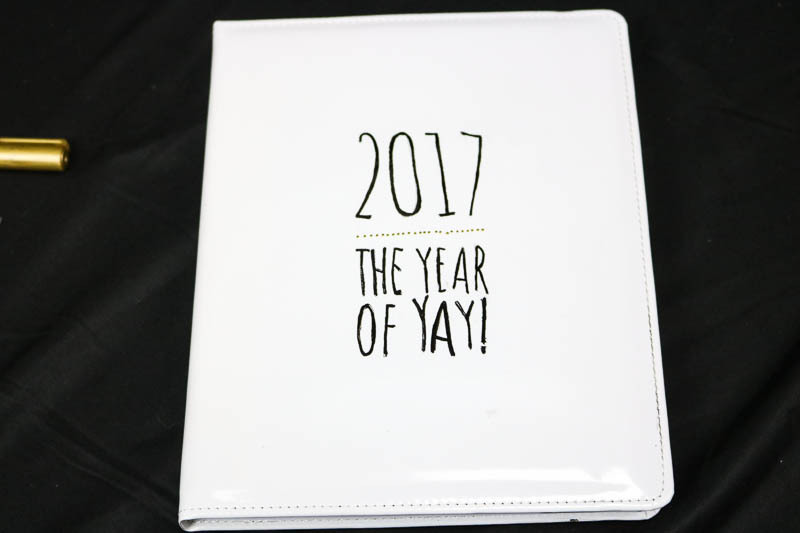 Are you excited for what 2017 might hold? I have to admit, 2016 sent some rough days, but I have held my heart and mind together and am looking forward to new and possibly, quite exciting, times in this next year. 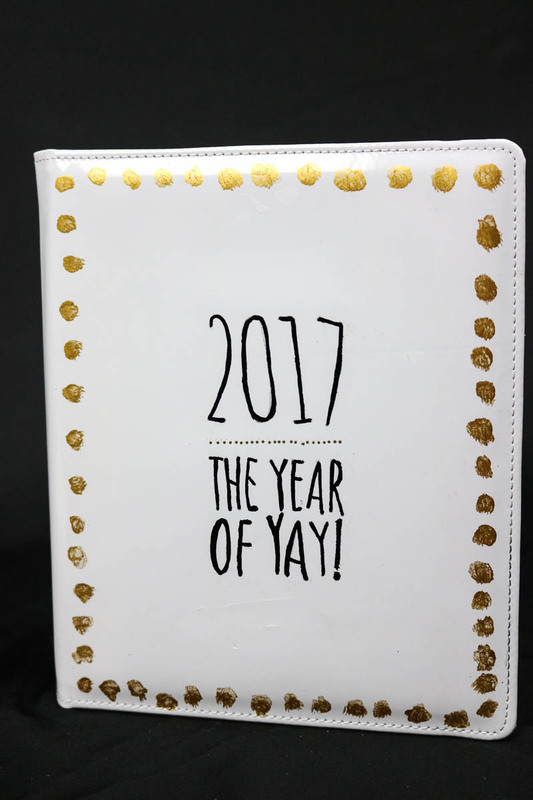 And what better way to start anew than with a fun and unique personalized journal! 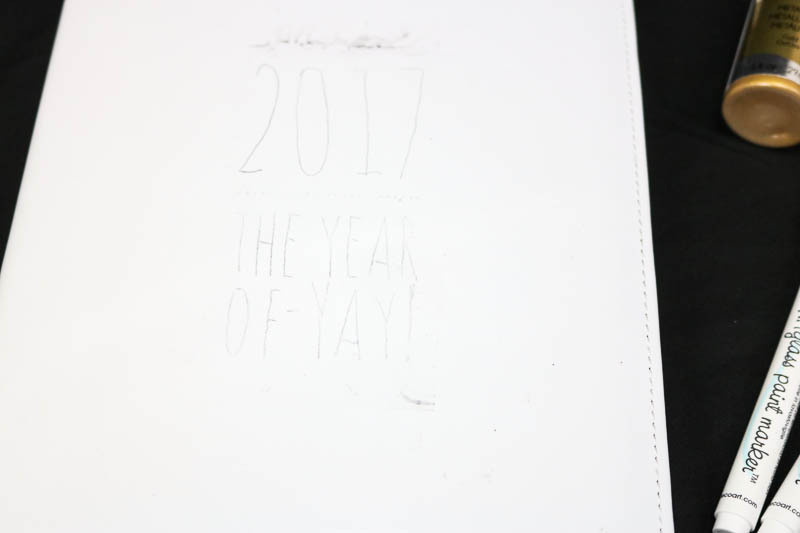 I have declared 2017 to be the Year of Yay! 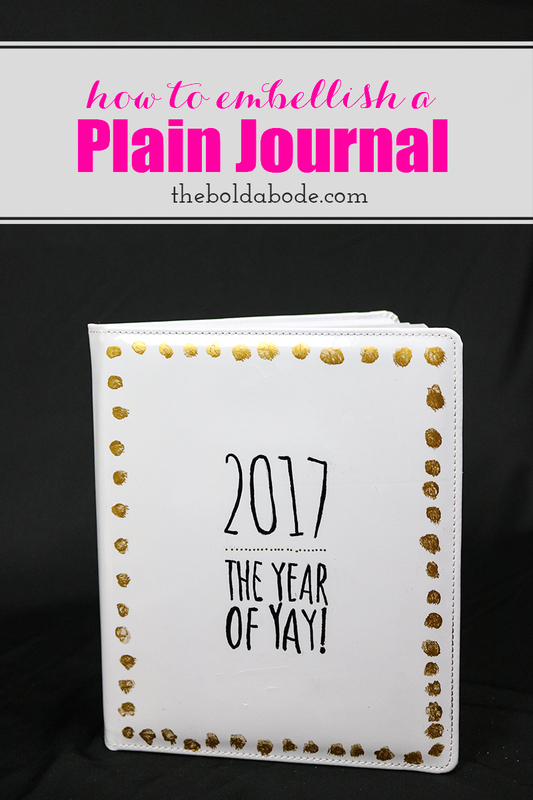 It’s so time to have some good things happen, and I’m going to celebrate them in this quirky and personal journal. It was plain as old dame Jane, y’all. 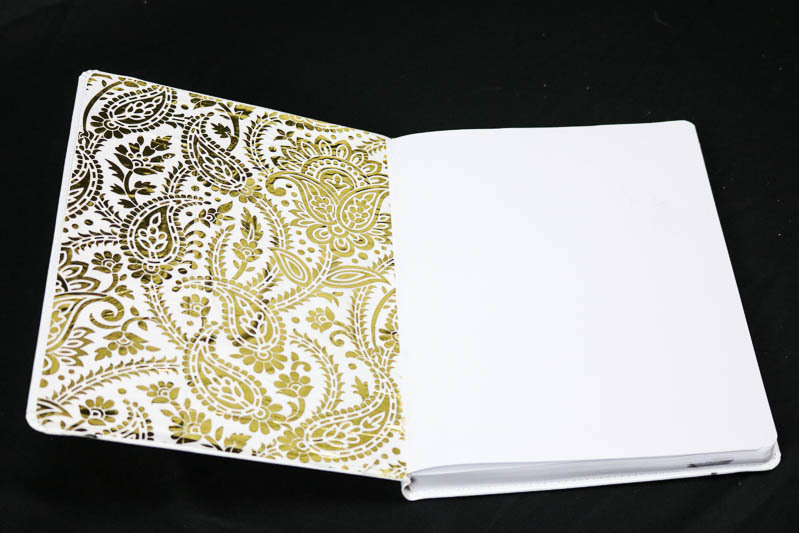 DecoArt Decoupage Paper in Gold and White, any design. I started by making my font template in Photoshop. 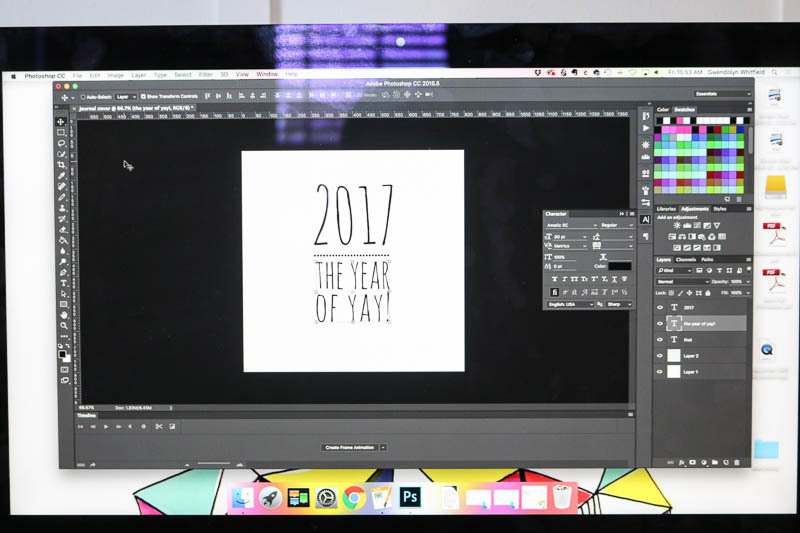 If you don’t have PS, then you can use any text editing program to design your template. I used Amatic SC, which is a free Google Font. Then I printed out my template and used graphite paper to trace it on. I did tape the template on, but it left some residue so be careful. If I do this again, I’ll use painter’s tape rather than invisible tape. Now just trace your writing with the paint markers. 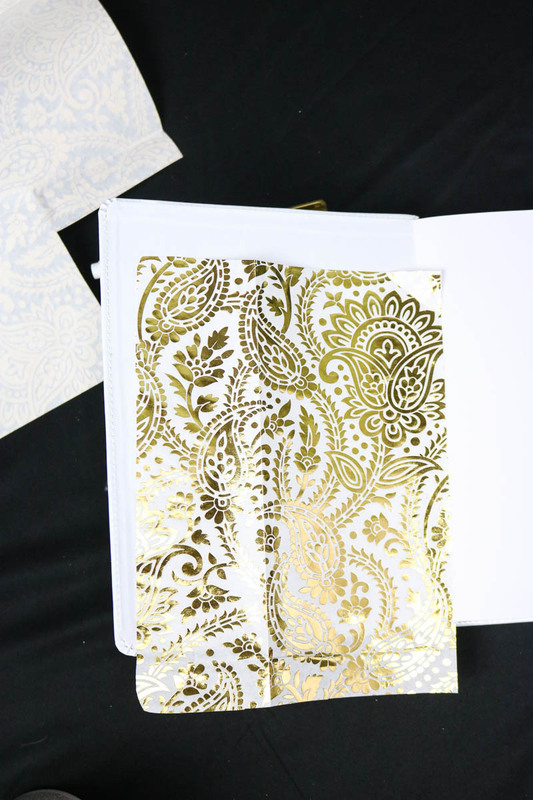 Use the DecoArt Media Gold Metallic to add some embellishment. 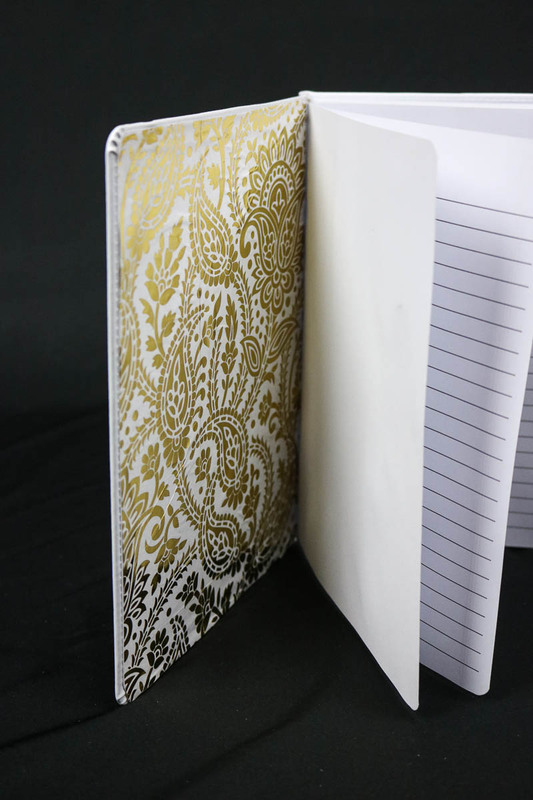 Then cut a piece of the Decoupage paper and decoupage it to the back of the cover. 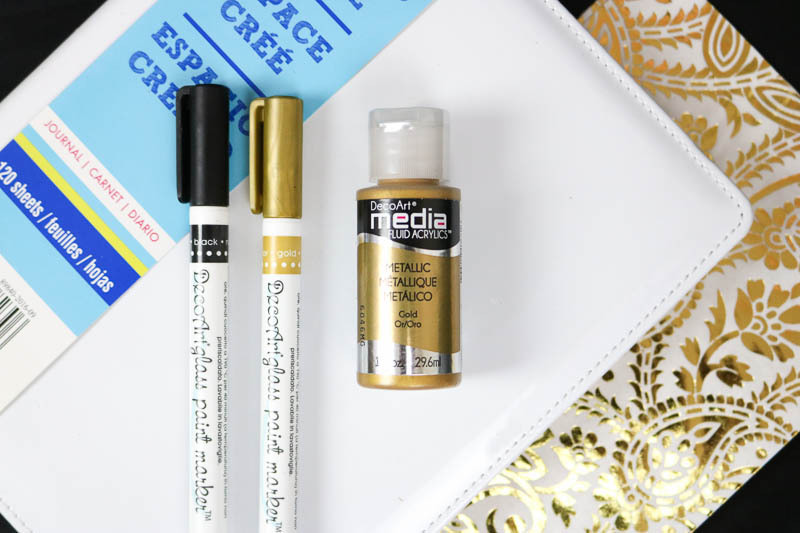 It helps to add glue to both the journal and the back of the paper. 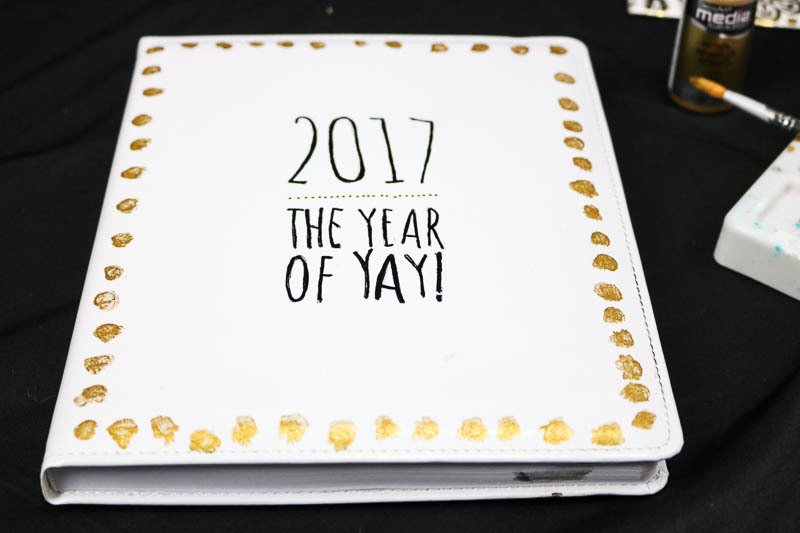 I’m ready to start jotting down all of the good things that happen this year, so next New Year’s Eve I can look back through it and remember, despite what may come, that good things abound! I hope you have a mind-blowingly fantastic 2017! 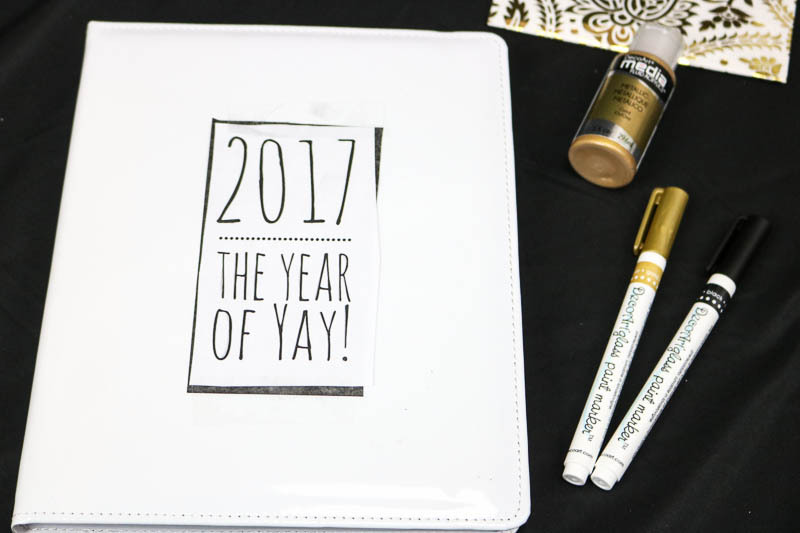 *Thank you to DecoArt for partnering with me on this project!